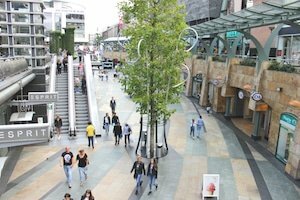 Rotterdam a shopping city? Hell yes! Zara, H & M, Forever 21, Urban Outfitters, Bershka and Weekday all have a place in the city centre. But besides that, there are also nice vintage shops and unique boutiques where you can score some beautiful items. 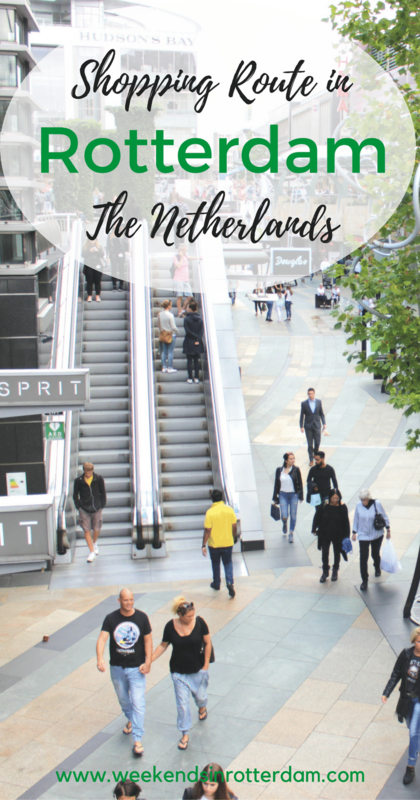 To give you a little bit of insight when shopping in Rotterdam, we share a common route with which you get to visit as many stores as possible in one day. Let’s go! We recommend following this route by foot, as this is the easiest and most efficient way to get to all the shops. We start at Blaak. Perhaps you have had a long trip and you want to get some extra energy before you start your shopping spree. Visit the Markthal for a smoothie, sandwich, ice cream or something different. On Tuesdays and Saturdays there is also a big market where you can buy both food and clothes. After visiting Blaak, you leave with the market hall on your left and walk towards the Bagels & Beans. Enter the street called “Botersloot” and find all sorts of nice boutiques and vintage stores like Imagine By Kim, Very Cherry or Louen. Parallel to these stores you will find the Pannekoekstraat. Here you will also find nice (vintage) shops that are worth a look. Once the first shops are visited, continue shopping on the Meent. In order to get here, keep walking on the Botersloot or Pannekoekstraat. Here you’ll soon see the Soap Treatment Store and as you go to the left, you’ll find stores like Cheap Fashion, Supertrash, Zola, Nikkie, Guess, The Shoe Club and Scotch and Soda. Tip: Also look at the side street called De Oppert, where you have Most Wanted and Dior Vintage. 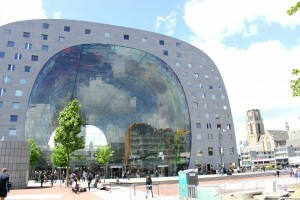 Food & drinks: De Markthal, Bagels & Beans, Happy Italy, Vapiano, Little V, Very Italian Pizza, The Fish Market, Humphrey’s. Food & drinks: Bagels & Beans, Poke Bowl Rotterdam, Picknick, Baker’s Dough, Sajour. 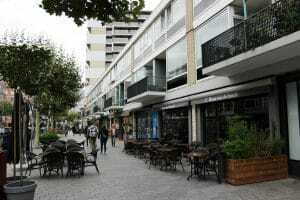 Food & drinks: Dudok, 1NUL8, de IJssalon, Thom’s, Tea Lab (Westewagenstraat). Once you have reached bar 1NUL8, turn left onto the Rodezand street. You then see the Koopgoot on your right hand. Here you’ll be busy for a while! 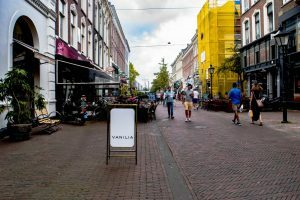 From here you can walk to the Hoogstraat (Peek & Cloppenburg, Van Haren), the Korte Hoogstraat (Dille Kamille, Funkie House, Go-Britain) or the Koopgoot (Zara, H & M, Forever 21, Costes). Above the Koopgoot you will also find Weekday and Monki! 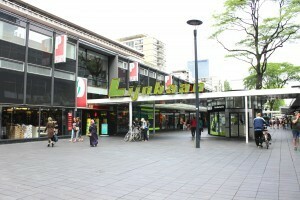 In the center of the Koopgoot you can also enter De Bijenkorf which is a department store filled with clothing, jewelry, bags, cosmetics and shoes. Once you get out of the Koopgoot you will arrive on the Lijnbaan. Here you have the option to go right or left where on both sides you will find well-known stores like H & M, Hollistor, JD Sports, Bershka, Pull and Bear, Mango, Aspact and more. At this point, the the biggest and busiest part of the city is behind us. Do you have any time left? Good! Parallel to the Lijnbaan lies the Karel Doormanstraat. In order to get to the Karel Doormanstraat, simply enter one of the side streets of the Lijnbaan (like Korte Lijnbaan or Aert van Nesstraat). You can also get there by turning right with your back to the main square (With the Bram Ladage in the middle). 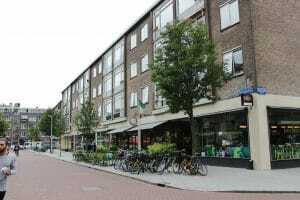 On the Karel Doormanstraat + side streets there are shops like Omoda and Hutspot. 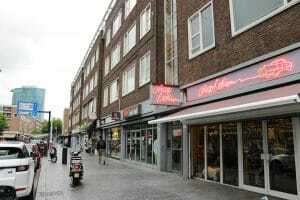 Food & drinks: Mockamore, restaurant in De Bijenkorf, Pomm’s, Ellis Gourmet Burger, Wok To Go. Food & drinks: Bakker Bart, Sugo, District A, Ten to Three Bakery. Food & drinks: Capri IJssalon, Baas van de Lunch, La Place. The Oude Binnenweg is located near the main square where you find the Bram Ladage (Binnenwegplein). If you cross the street with your back to the square, you’ll walk straight into street. Here you will find Sissy Boy, Men at Work and America Today. Food & drinks: La Place, Lilith, Coffee Company, Baker and Moore (it’s a bit off road but worth your while!). It’s quite a lot for one day, but when you’ve visited all the above, you don’t have to worry that you have missed something major! Of course, you can also start halfway through the route, walk it from back to front, or cut it up in parts. And if you cannot find a street, feel free to ask people around you. A true Rotterdammer knows exactly what is! For your ease we have included a map of the route below.